Home / Adidas / Paul Pogba Signs A New Contract With….. The old saying “Paul Pogba wears what he wants” is going to have a slight twist going forward! Over the past few seasons, we have become familiar seeing Pogba jump between brands and different boot silos. But yesterday, on his 23rd birthday, the three-stripe announced that they have secured his extremely highly sought after signature. Yes, Pogba has officially signed a boot contract with adidas! This is the first sponsor contract I’ve signed and it’s a very important decision for me. I chose adidas because we have shared passions and values. 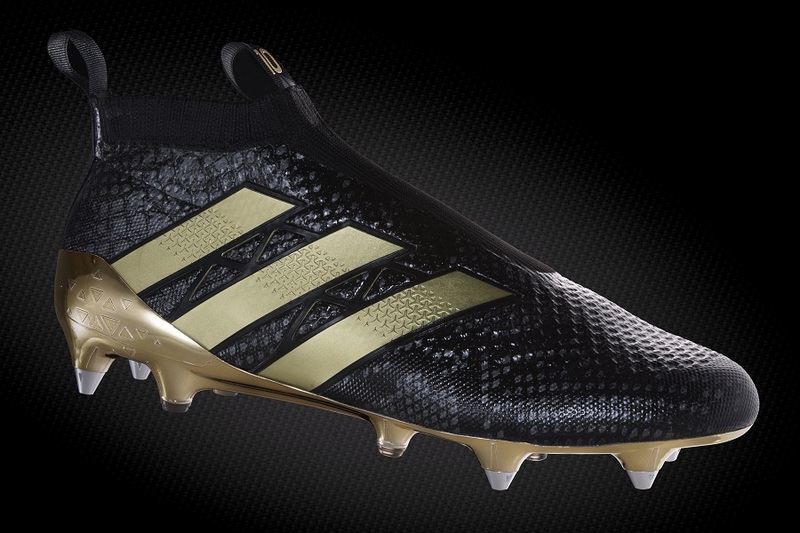 adidas has the same vibe as I do, on and off the pitch. 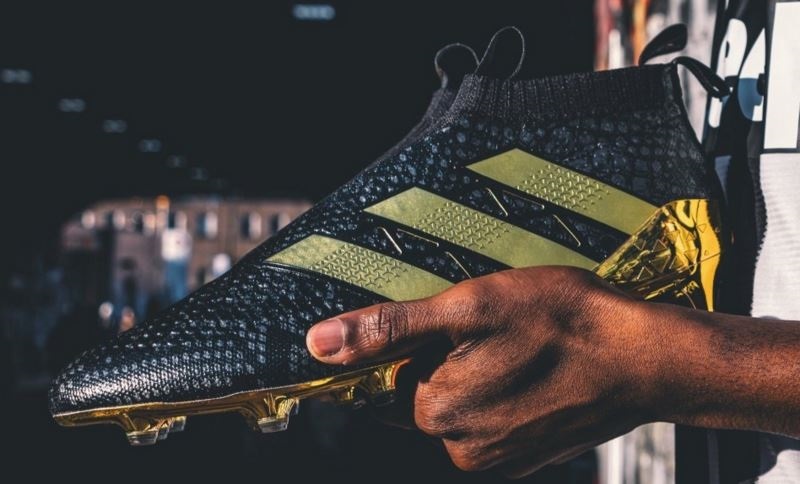 adidas believes in my dream of building hype in the world of football. I hope I can leave a footprint and add something exciting and new to this iconic brand. The best is yet to come. This is Pogboom! Of all players out there right now, this could be the biggest of them all as Pogba has the potential to create an entirely fresh signature line. 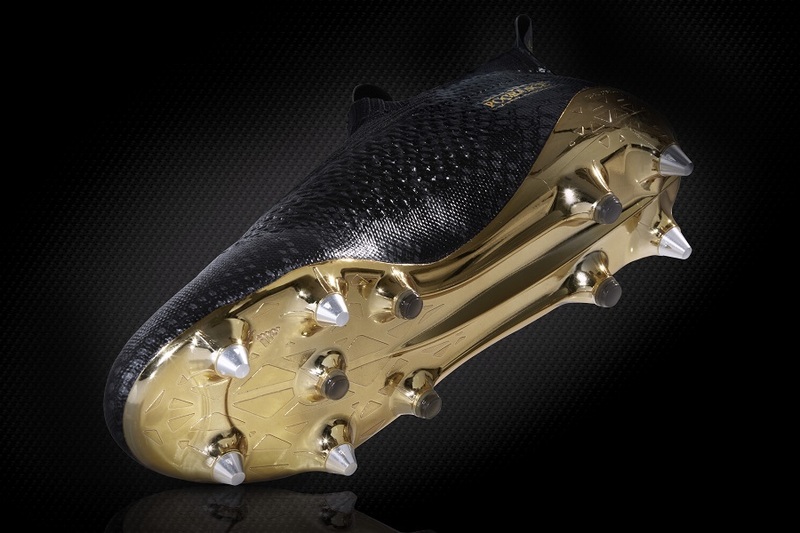 And to celebrate the deal, Pogba was allowed the opportunity to create an exclusive, customized boot. His choice of Ace16+ PURECONTROL in Black/Gold has gone down a real treat with fans, showcasing his classy personal style. Unfortunately for the masses, there were only 11 pairs created and none are available for retail. 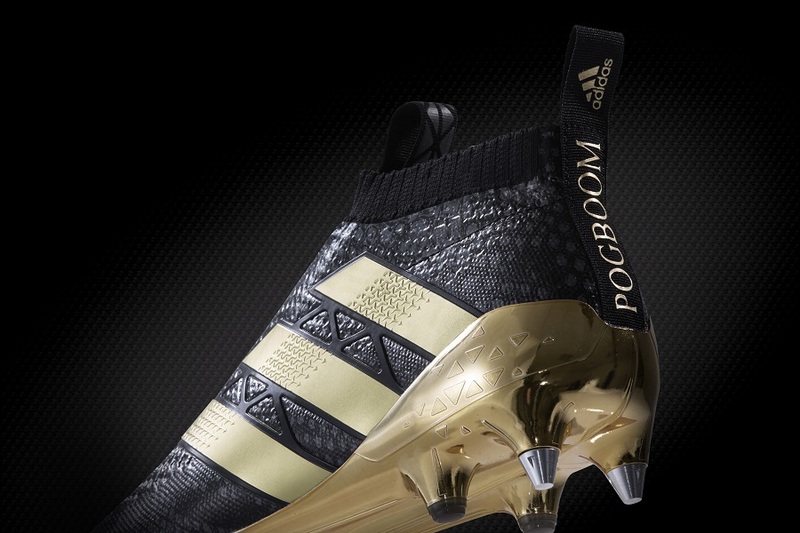 This is a case of Pogba adding another exclusive boot to his incredible personal collection. To complete an unmistakable look, on the heel of the left boot you will find POGBOOM, while on the right POGBANCE is added. I see Pogba creating some signature new terminology already! And just in case you missed it, he scored while wearing them last night – that would be a pretty decent way to introduce your name alongside a newly signed contract! Check out all the latest Ace16+ Primeknit colorways at soccer.com.